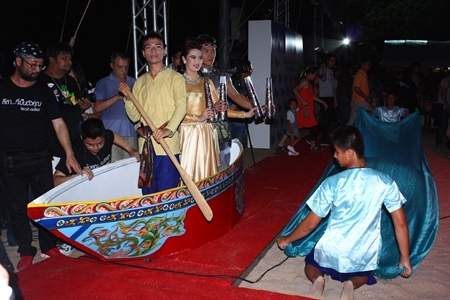 The “Colors of the East” illuminated Jomtien Beach for four days as four Eastern Seaboard provinces brought out their best in performing arts and locally made products to drive low-season tourism. 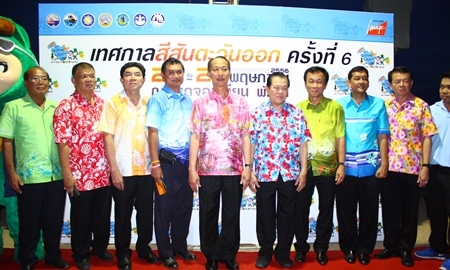 Chonburi Gov. 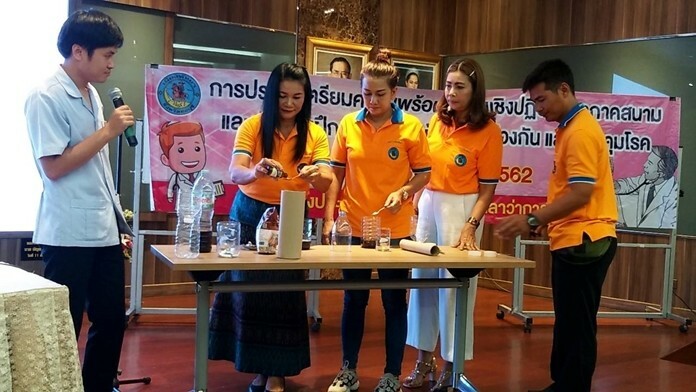 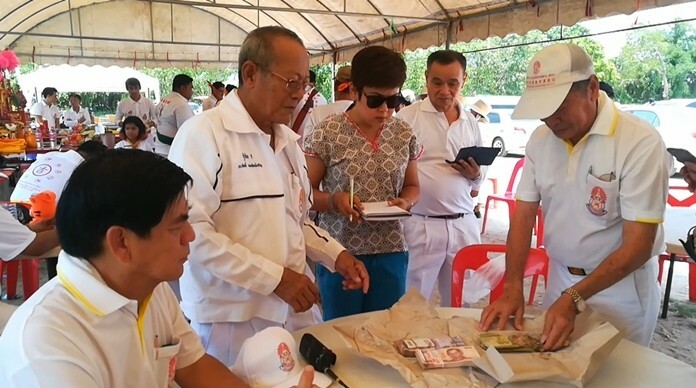 Khomsan Ekachai kicked off the May 23-26 event with MP Sansak Ngampichet, Pattaya Deputy Mayor Ronakit Ekasingh, representatives from Rayong, Chanthaburi and Trat, and officials from the Tourism Authority of Thailand. 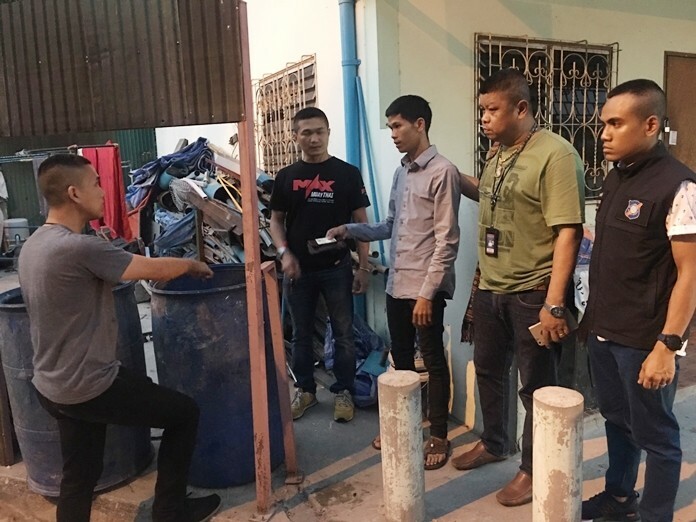 Pol. 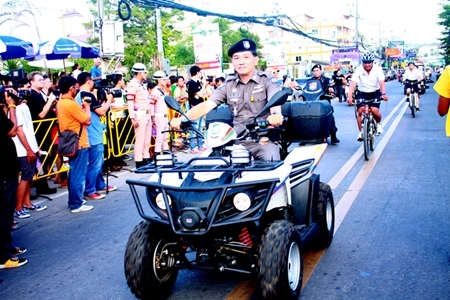 Lt. Col. Arun Promphan, Pattaya’s Tourist Police commander, leads a patrol team on bicycles in the 6th Eastern Fair parade. 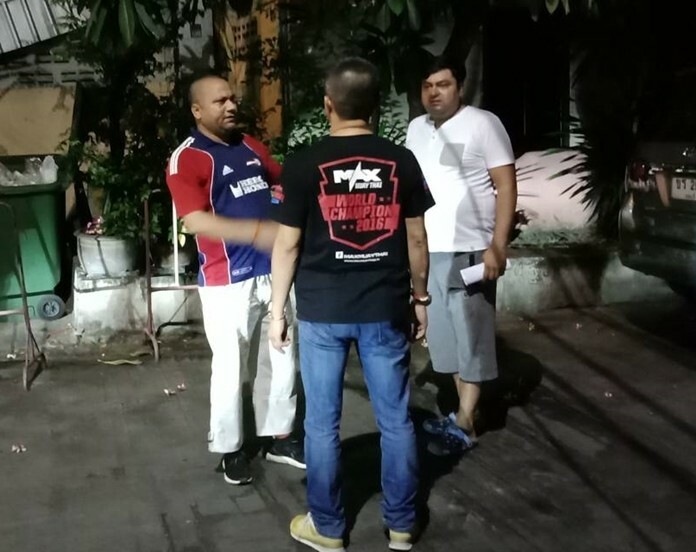 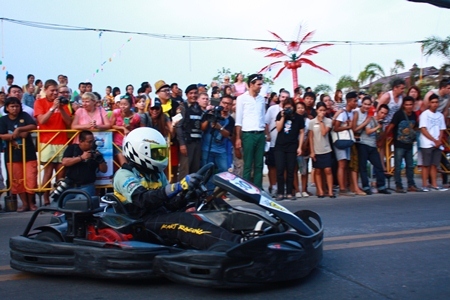 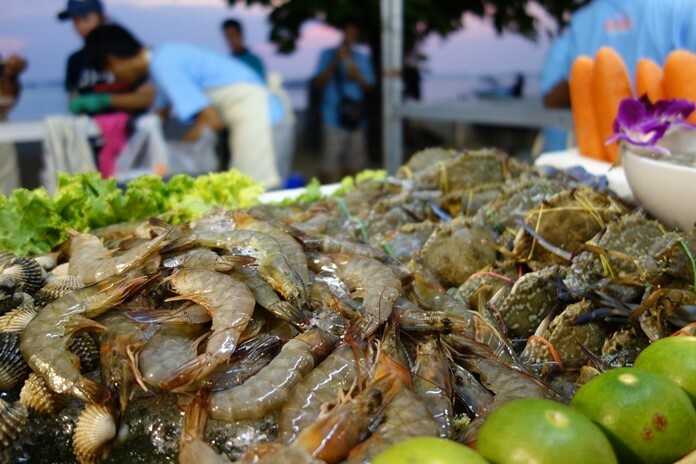 Previously held amidst horrific traffic jams on Pattaya Beach, the sixth-annual event was moved to quieter Jomtien Beach this year. 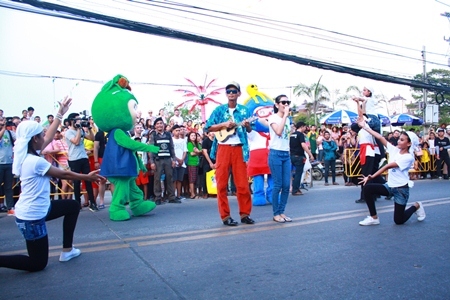 Jomtien Beach Road was closed to traffic to accommodate sales booths, food stalls and performance stages. 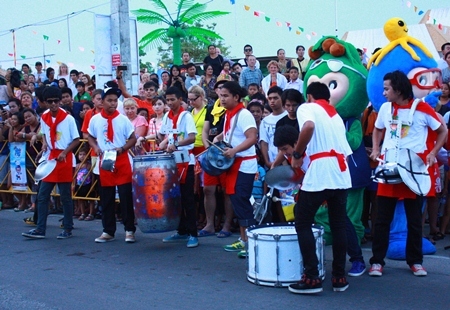 Thousands of tourists and locals attended. 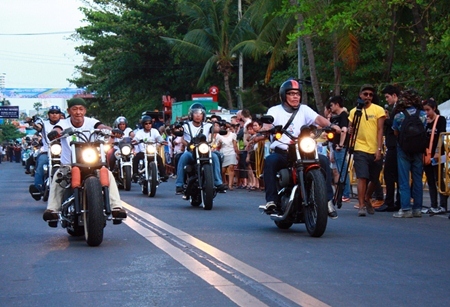 Big bikes rumble down Jomtien Beach Road for the opening day parade. 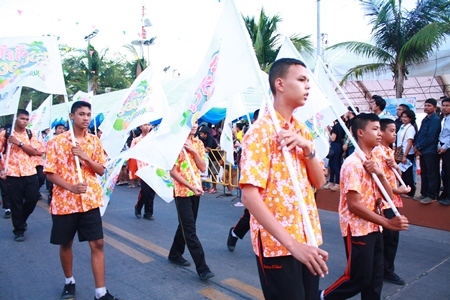 The event kicked off with a four-province parade, with acrobats, go karts, and a “flash mob” from Pattaya School No. 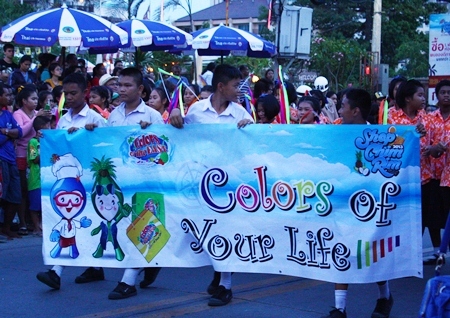 8 students. 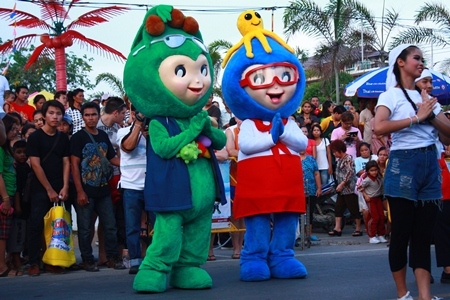 Echoing the festival’s original name – Sea, Sand and Sun – mascots See and San led the procession. 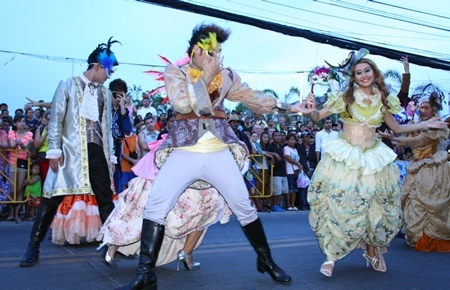 A mermaid holding the moon served as this year’s symbol. 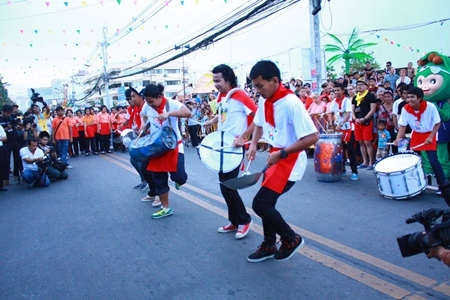 Khomsan said the festival this year was held during low season to drive summer tourism. 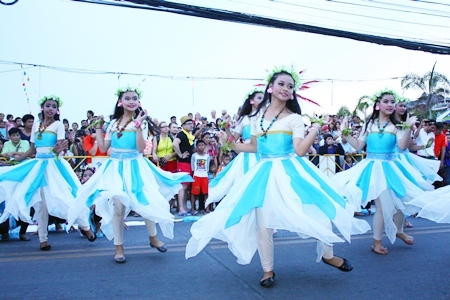 “In addition, the event will rush the development of a tourism industry that must maintain and push the quality of services to international standards,” he said. 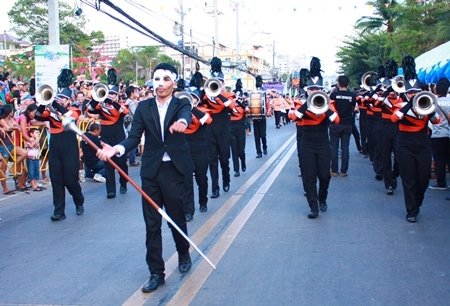 Talented musicians perform using only kitchenware. 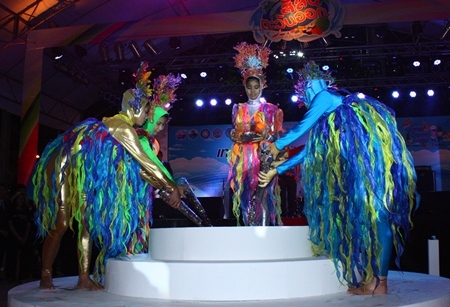 Siripong-Thassana Kaewploy, winners of the song composition contest for the 5th Eastern Fair, perform their winning number. 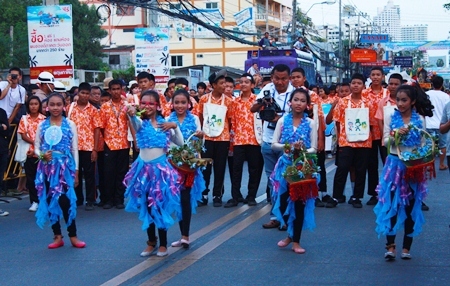 A skilled dance troupe performs traditional Thai dance. 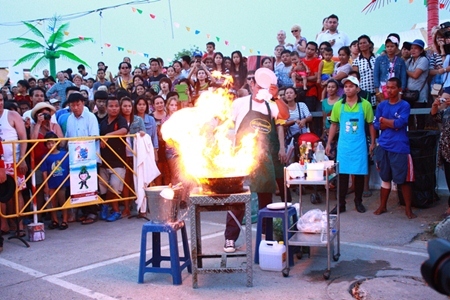 A chef prepares pak boon fai dang – aka flying morning glory – a popular item on Pattaya menus both for its taste and the theater created by chefs preparing it. 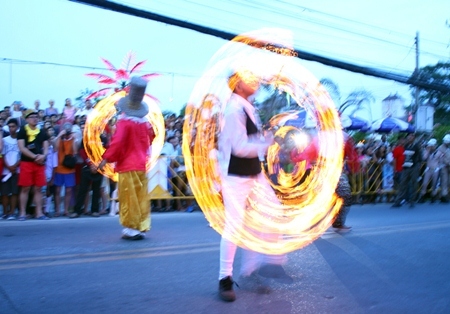 Fire twirlers thrill the audience. 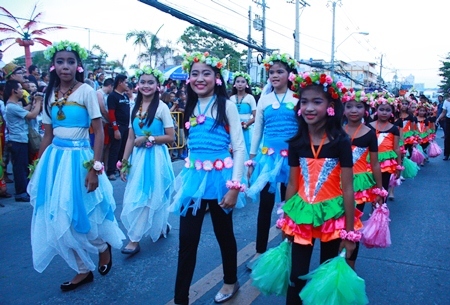 Brightly dressed women brighten up Eastern Fair. 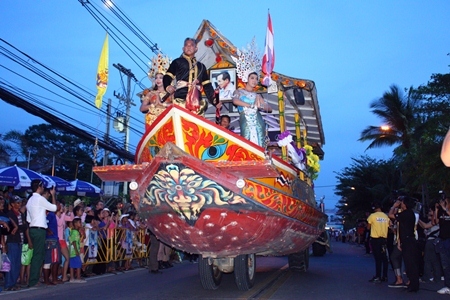 The Floating Market takes part in the parade with their giant boat float adorned with King Taksin statue.